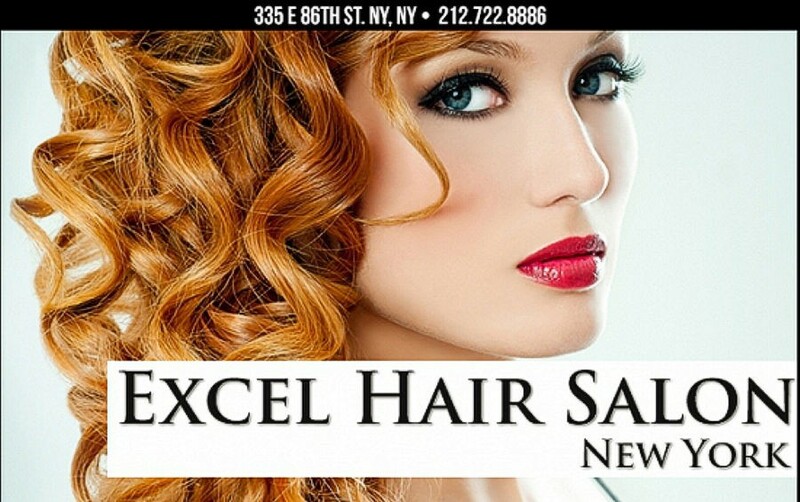 Excel Hair Salon in NYC, has long been recognized as superior providers of hair care services and we are dedicated to operating the finest and most rejuvenating salon on the Upper East Side of Manhattan. Not only do we have the best designers but provide you with a relaxed ambience that makes it a pleasure to just sit back and be cared for by our staff of professionals. You can trust Excel Hair to give you all the personal care that you need. From the moment the receptionist welcomes clientele till they leave smiling, the hair stylists’ clientele know they have been completely pampered! The finest hair dressers, hair stylists, and hair colorists work at the salon, featuring the best in haircut, hair color, and hair highlighting services. You can get everything from special treatments and wedding hair and makeup. Our salons and day spas were created to provide a relaxing haven for personalized care.